Henry Acosta: Welcome to Health Professional Radio, I’m the host Henry Acosta and in studio with us today is Vidya Nallamad, the founder of Net Health. 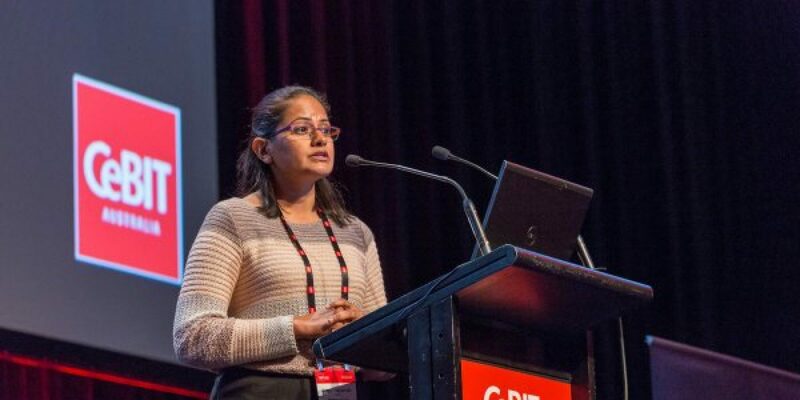 Vidya is a young and talented eHealth entrepreneur with 15 years of experience in medical software industry. Before creating Net Health, Vidya has worked in various software industries like GE Medical Systems and Philips Medical Systems. Today, we’re going to talk about Net Health and how is the leader in software for specialized outpatient care. Welcome to the show Vidya and glad to have you here. Vidya Nallamad: Thank you very much. Thank you. H: Can you tell us a little bit more about yourself with us? I just give a brief introduction about you. V: Sure, thanks for the introduction. I started Net Health in 2013 and prior to that, I came to Australia 10 years back. But when I was in my university under graduation stage, I always wanted to do something in the healthcare field. I wanted to be a doctor which didn’t turn out the way it had to, but so I ended up doing my engineering and master’s in business administration but having worked with Philips and GE Medical Systems, that’s where I knew where my passion lies so I’m working with health care with an IT background, that was the focus for me since then. And when I came to Australia I saw a market which could potentially lead me to Net Health and 2013 was the year wherein I started Net Health, that’s an online appointment booking software company. But then I moved on to my actual core product which was tele-monitoring of services to help reduce hospitalization. H: Can you tell us what inspired you in getting into the eHealth industry? V: The maintain was making a difference in people’s lives, we see so many people with chronic conditions including my father who is type 2 diabetic. He lives 7,000 kilometers from Australia, so he is in India. I wanted to always something wherein I could help him with his health and maintain his health mainly. That’s why the already inspiration all started and that diversified I spread it out to starting the company with Net Health. H: Wow. Well that’s actually a very inspiring story. Can you tell us what are the services and the products that Net Health offers? V: Sure. So Net Health mainly focuses on telehealth. We need to make use of the IT or the technology that’s available currently in the market. There’s all these fit bits and other wearable devices that’s available that talks to internet. What we do as a platform is we get the clinical information, just not the steps, but we get the clinical information from various wearable devices or other devices. Also, we collect the meal and medication information and we monitor. We have in-house registered nurses and occupational therapists. They monitor these patients and advise them whom they need to go to maintain their health and well-being. We direct them to the correct professionals so this helps them not exaggerate their condition and end up in hospital. We want to mainly focus on reduced hospitalizations for these people. H: What do you think are the contributing factors that has helped Net Health succeed so much in the past few years? V: One of the main factors was attending CeBIT last year. 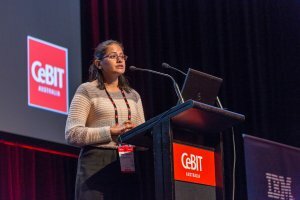 Attending CeBIT was I think one of the really good decisions I made because that’s one of the biggest IT conferences. Doing the pitch fest, give me that confidence and validated the idea. We already had a few paid customers, but still having those three experienced judges validate your idea by winning the pitch fest competition gave me the confidence and the best part was at CeBIT, we got our first advisory board member and that person has been amazing, directing us into right direction or advising us into the right direction so CeBIT has worked well for me. H: I actually saw that on my research with regards to Net Health and I wanted to say congratulations to you guys for winning. H: Since you guys have so much success for the past few years, can you tell us what’s coming next for Net Health? V: For us mainly, we want to expand our base in Australia in terms of remote medical centers. We see that there is that mismatch wherein our people at the remote areas of indigenous communities, they’re not getting sufficient health benefits compared to their counterparts in the urban areas. We want to help and get that telehealth platform and give them access to the medical service – that’s one of our main focus areas. Also we want to expand in the overseas market especially in countries like India and Africa wherein people, they can benefit out of a telehealth platform and connecting them to good doctors, doctors in Australia or anywhere else, getting them that medical services are what we are looking at so increasing our base in Australia and also worldwide. H: What are the most common questions and misconceptions that you usually get with regards to Net Health? V: One of the main questions that gets asked is that, ‘How would it work?’ Even though we say, ‘That’s okay’ and it’s wearable and you don’t have to do anything up to the registration. One of the questions we get asked about to, ‘How does it work in terms of security and privacy?’ I always tell them, we maintain the privacy similar to your banking systems, we are utmost secure and everything is encrypted all the details and we don’t give away the details. It’s pretty much similar to how the clinical management softwares are at medical centers, so it’s quite secure and yes, they can be trusted to encrypt and keep your privacy, private basically. H: What’s the main takeaway message that you want our listeners to learn about Net Health? V: Mainly we want to promote the concept of telehealth of Net Health wherein we want people to understand there is a telehealth software that’s available which they can enable or take it out, and help, and reduce their hospitalization, or keeping up with your health and wellbeing. We want to promote that message of Net Health accepting by people who are diabetic … hypertension, or anyone who wants to manage their health mainly. We want them to use this software and definitely see the benefits of it. H: Well that’s good news for everyone around us. For everyone who is interested in getting Net Health, how can they reach out to you guys and maybe get in service? V: Absolutely. They can reach out to us to our website which is net-health.com.au. Or they can send us a message directly on enquiry@net-health.com.au and send me a message and we’ll definitely get back to you and help you manage your health and well-being. H: Well that’s all our questions for today. Thank you so much for coming on the show Vidya. V: Thank you so much again for having me. H: That was Vidya Nallamad, founder of Net Health. We just finished talking about Net Health and how it helps everyone around us keep track of our health. You can find this interview on www.healthprofessionalradio.com.au or on www.hpr.fm. You can also find us on SoundCloud and iTunes.